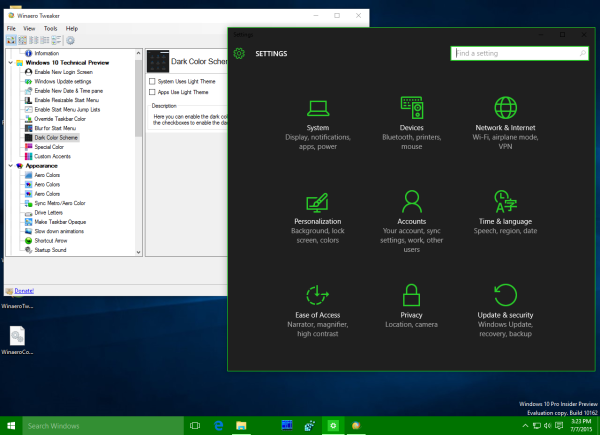 Get classic Personalization back with Personalization Panel for Windows 10. 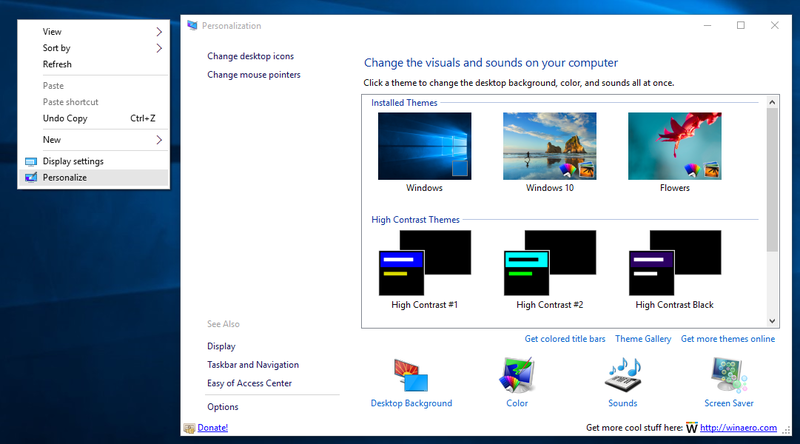 Microsoft removed all options from the Personalization window shipped with the classic Control Panel in Windows 10. This is a regressive change from a usability point of view. In the classic Personalization UI, all settings were in a single window, accessible with one click. But the Settings app is a mess. Like many users, I am not happy to use the Settings app, so I coded an alternative with the familiar look revived. nice .... where is the black theme ? Sweet! Thanks for the hardwork. Bookmarking the link, will use it in Win10. Added the ability to hide the status bar. Added the ability to get colored title bars instantly. Added version information in the top right corner. Fixed a bug related to saving/restoring the window position and size.